For UPS, Amazon’s has success has been a bit of a dilemma for the package delivery service. On one hand, there has been a drastic increase in its package delivery demands, while on the other, Amazon appears to be actively encroaching on UPS’ business model as it continues to expand its own logistics operations, even down to the last mile. 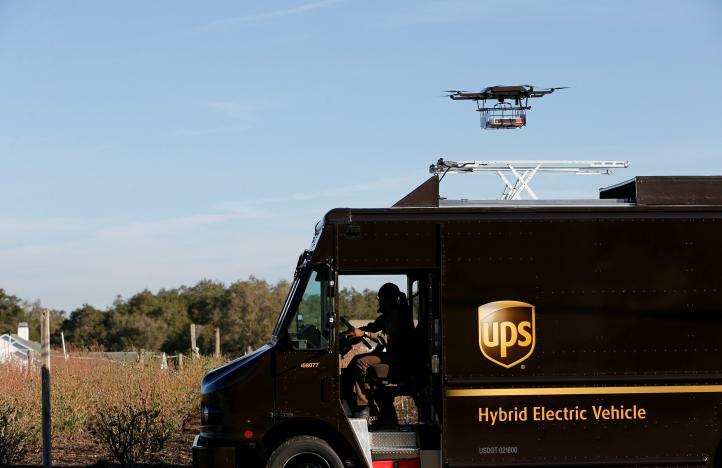 Workers in UPS’ 1.7 million-square-foot healthcare complex at Worldport will package and ship the vaccine to one of the more 4,700 franchised U.S. UPS stores. A home health nurse contracted by UPS’ clinical trial logistics unit known as Marken will collect the insulated package, transport it the “last mile” to the patient’s home and administer the vaccine, which will target a viral illness in adults.The aim of the test is to “see if we can connect all these dots,” said Wes Wheeler, chief executive at Marken, which was purchased by UPS in 2016 and is overseeing the vaccine project.